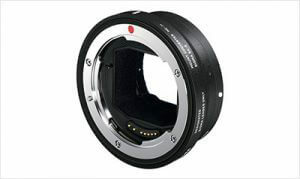 This firmware makes the SIGMA MOUNT CONVERTER MC-11 compatible with the latest firmware of SIGMA interchangeable lenses. For customers who own the SIGMA MOUNT CONVERTER MC-11, please update the firmware via SIGMA Optimization Pro※ by connecting it to a computer using the supplied USB Cable. ※Before updating the SIGMA MOUNT CONVERTER MC-11 firmware, please ensure SIGMA Optimization Pro has been updated to ver. 1.5.0 or later. ・It has become compatible with the SIGMA 28mm F1.4 DG HSM | Art for SIGMA. ・It has become compatible with the SIGMA 500mm F4 DG OS HSM | Sports for CANON EF mount, that has the latest firmware Ver.2.00. ・It has become compatible with the SIGMA 24-35mm F2 DG HSM | Art for CANON EF mount, that has the latest firmware Ver.2.00. ・It has become compatible with the SIGMA 18-300mm F3.5-6.3 DC MACRO OS HSM | Contemporary for CANON EF mount, that has the latest firmware Ver.2.00. ・It has become compatible with the SIGMA 28mm F1.4 DG HSM | Art for CANON EF mount. ・It has become compatible with the SIGMA CINE LENS FF High Speed Prime Line 28mm T1.5 FF for CANON EF mount and 40mm T1.5 FF for CANON EF mount.